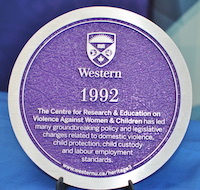 The Centre for Research and Education on Violence Against Women & Children (CREVAWC) is committed to the development and application of knowledge for the prevention of violence against women and children through promoting innovation, collaboration and equality. Research shows that between 15 and 25 per cent of college and university-aged women will experience some form of sexual assault during their academic career. This disturbing reality makes it imperative that people in post-secondary institutions from a wide range of roles and positions are prepared to respond to disclosures of sexual violence in a supportive way. 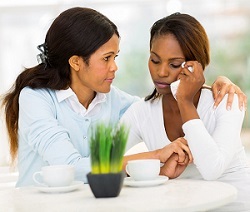 CREVAWC led the development of an innovative, interactive online training to help everyone provide supportive trauma and violence informed responses to disclosures of sexual violence. An Advisory Committee including representatives from Brock University, Western University, University of Toronto, York University, Windsor University, George Brown College, Canadian Federation of Students, Sault College, Fanshawe College, Queen's University, University of Ontario Institute of Technology and Nipissing University shared their experiences and expertise and helped to shape the training. Learners who successfully complete a knowledge assessment will receive a certificate. The training is recommended for faculty, administrative staff, residence, housing and facilities staff, financial services staff, counselling and accessibility support staff and faculty, international student recruiters and support staff, Indigenous services staff, health and wellness teams, and managers. Collective Memo of Concern to: World Health Organization about "Parental Alienation"